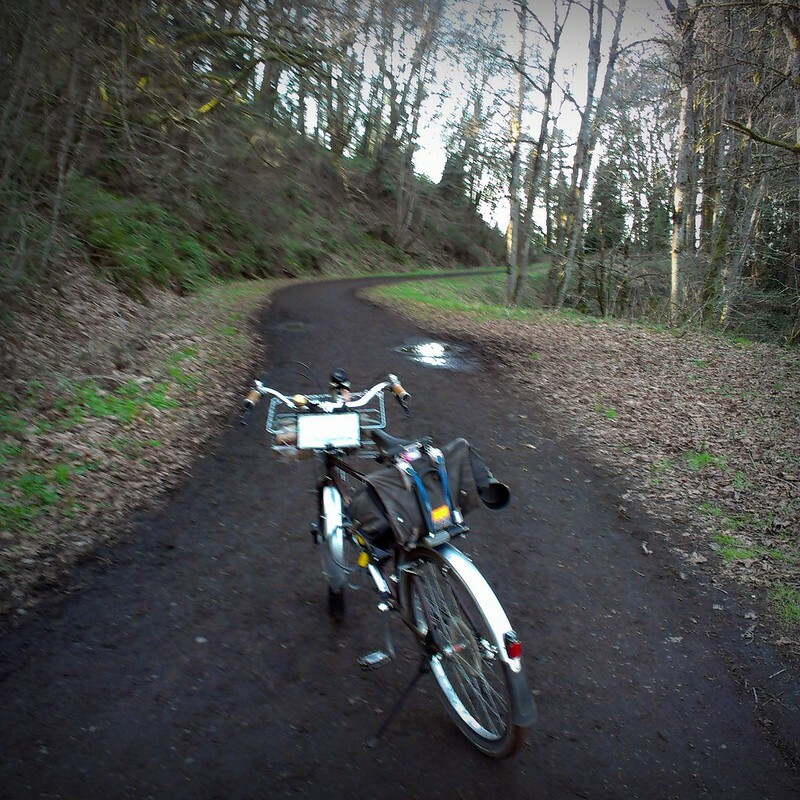 You may remember that all the way back in December I took the Raleigh Crested Butte on its first true Rough Stuff ride through Forest Park. Even though Forest Park is right over there, I rarely go to it, and this was the first time in a number of years that I had biked through it. It was a lot of fun, and I promised myself I'd be back soon. And we all know how that story goes. Despite my intentions, I didn't end up going back until Monday. And it's interesting that I went up on Monday, as it was just one day after I led the Three Speed Ride. You figure I would need a break, no? 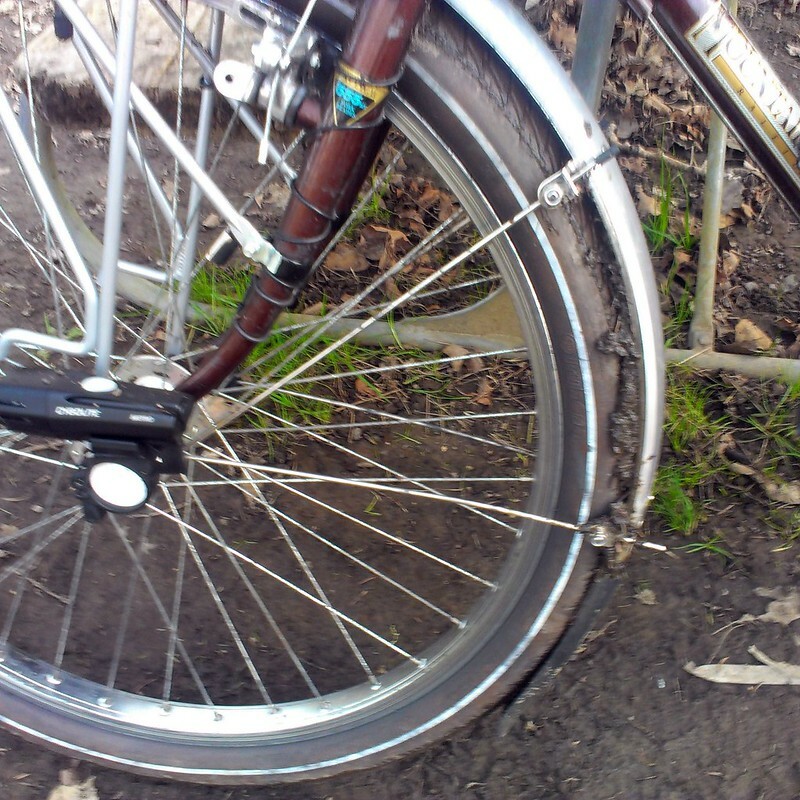 But after the completion of the Three Speed Ride, I had a lessening of obligations for a change. 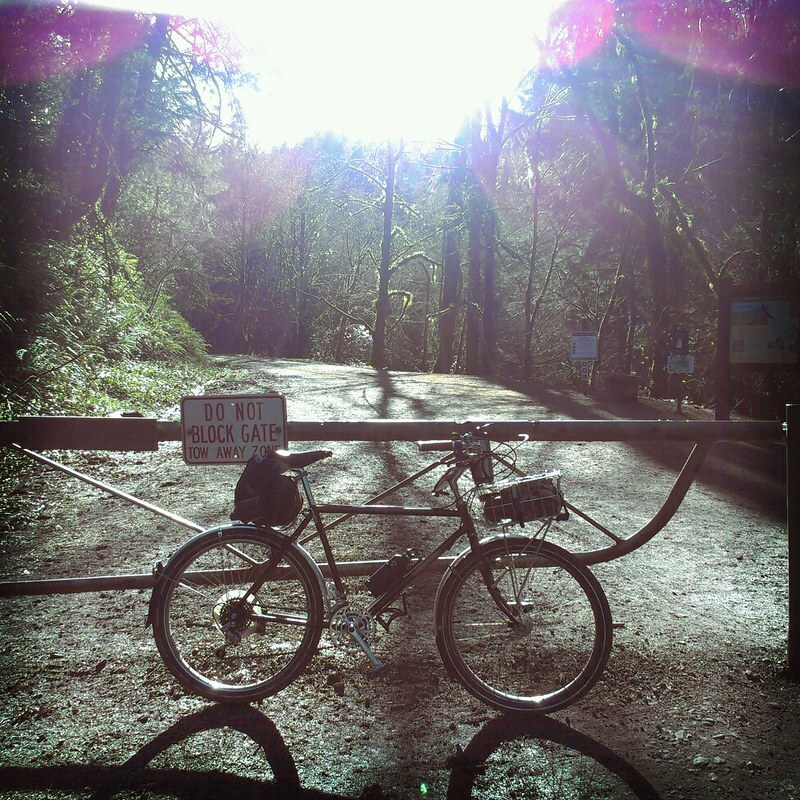 I also was in the mood to ride, and the weather was cooperating: sunny, high 57F/14C. I had Monday and Tuesday off, and Tuesday promised (and delivered) rain. So Monday it was. Of course, I took my sweet time in getting there. The entrance from Forest Park is a good six or so miles from my house, and I ended up stopping a few times before I got there. Coupled with the late start, it was around 3:30 pm when I entered the park at the Thurman/Leif Erikson Gate. 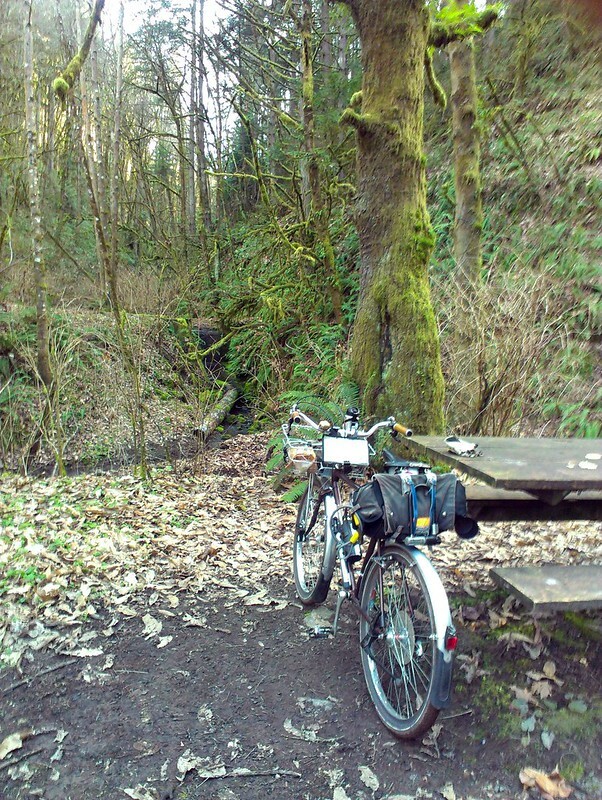 My plan was to ride the part of Leif Erikson I missed in December: the six miles from Thurman St to Saltzman Road. And now a word about Forest Park itself: Forest Park is the largest park in Portland, sometimes erroneously labeled the largest city park in the US. While it isn't, it's still big, one of the largest urban forest preserves in America. 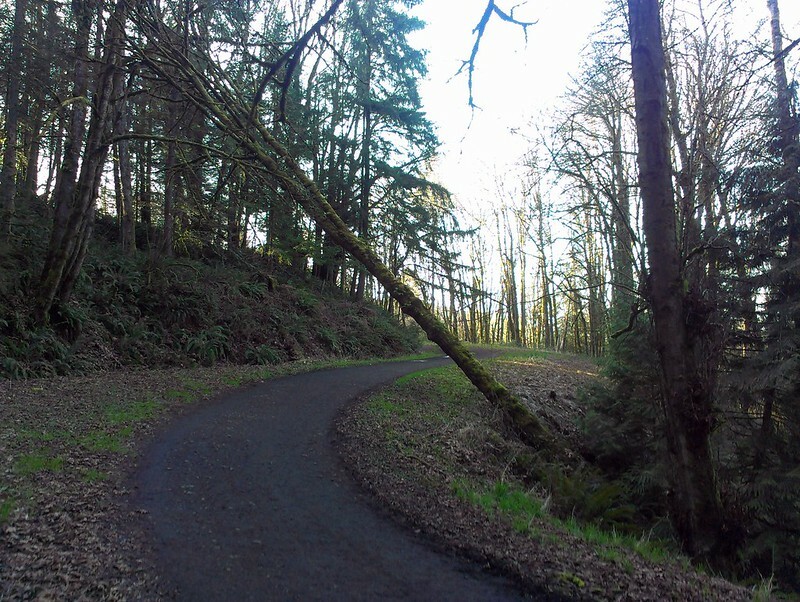 The park consists of the eastward slopes of the Tualatin Mountains north of the Northwest neighborhood, this range known locally as the West Hills. Heights of the hills range from 800 to 1500 feet. The area that now consists of Forest Park was logged in the nineteenth century, but eluded attempted development until the early twentieth century, when enterprising developers built Leif Erikson Road along the hills with hopes of building exclusive residential districts. Well, that would have happened if it wasn't for the unstable slopes of the Tualatin Mountains continual slide downward towards the river. * The plans were thwarted, the city bought up the land parcel by parcel over the years, and it became the park it is today. Leif Erikson was either depaved or allowed to rot, so now its a graded but rough and muddy dirt road traversing the park. The first 1 1/2 miles on Leif Erikson from NW Thurman Street is a steady climb from about 200 feet in elevation to 600 feet, and then it mostly plateaus with some up and down action. (The highest point of the ride was about 800 feet high.) The first 1 1/2 miles was dry but the roughest section, with lots of rocks in the roadbed. I also saw the most people on this section of the trail, mostly joggers and dog walkers. Not a lot of folks, despite it being a beautiful day. Then again, it is a weekday afternoon. I'm guessing next week when Daylight Savings takes hold and the sun sets at 7pm, we'll see more after work warriors up here. After the first couple miles I saw only cyclists, and only four at that. After the initial 1 1/2, the road got muddier, though not as muddy as I expected. Things pretty much looked like variations of this photo for the rest of the way to Saltzman. The one drawback to Leif Erikson is there isn't much of a view from the road, though you do see more during the winter when the leaves are bare. 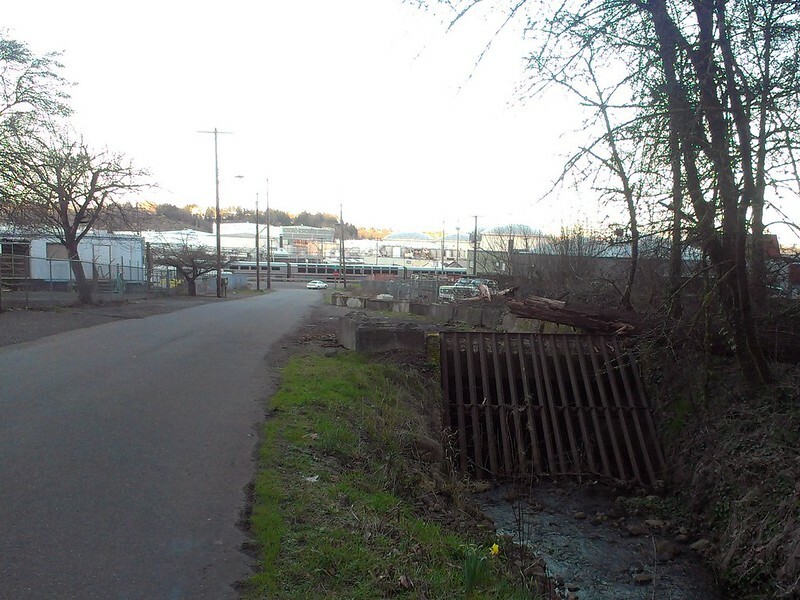 While you definitely feel like you are in the woods the whole time, just below the path is the industrial lands that hug either side of the Willamette. The eyes see forest, the ears hear freight trains, ship horns, the clang and clamor of industry, and the low-grade hum of traffic. This changes when the path turns inward towards the hill to follow the contour of a creek valley. After three miles in, Leif Erikson crosses Rocking Chair Creek, where one of the few picnic tables on the road are located. I take this opportunity for a snack break. Here the noise of the city is drowned out by the quietness of the forest and the gurgling of the brook. 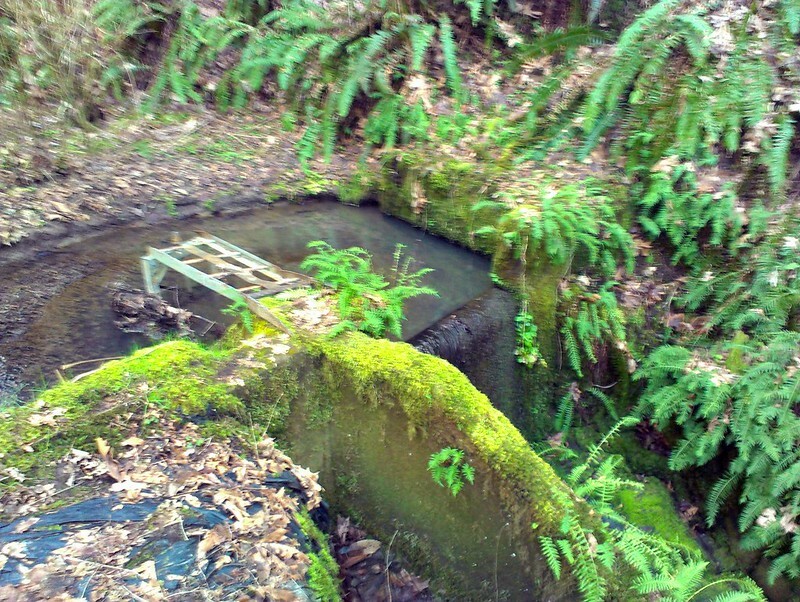 A small dam is located on the creek. 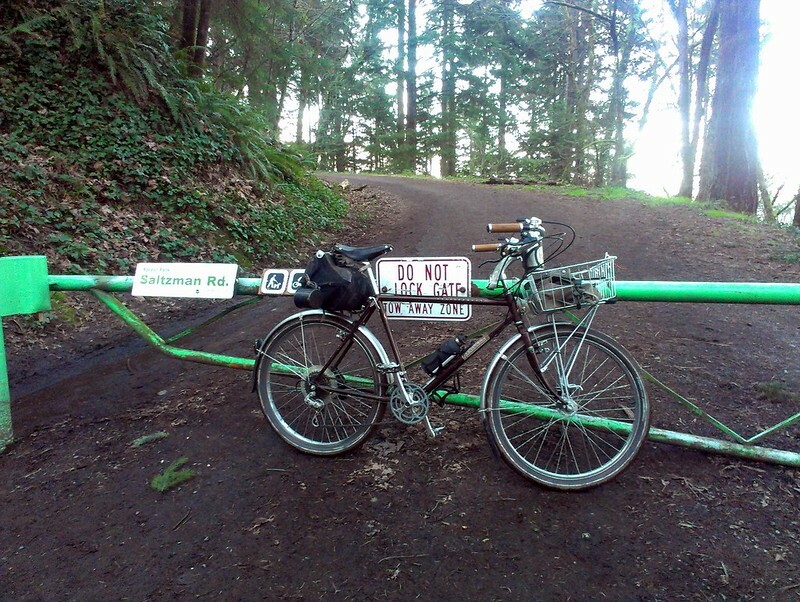 Another three miles and I reached the junction with Saltzman Road. 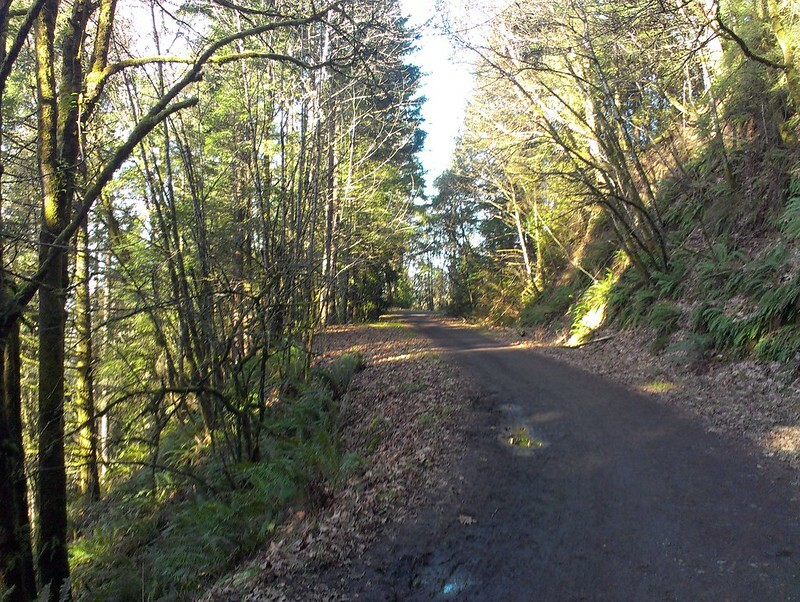 While there are a few other fire roads I could have turned on to get back down to river level, those tend to be steep tracks, whereas Saltzman promises a gentler, better graded descent. At the junction is another picnic table, renowned as Forest Park's version of Westpoint Inn. I took this opportunity to clean off the buildup of mud that had formed on my front fender. Saltzman Road to the left, Leif Erikson Drive to the right. 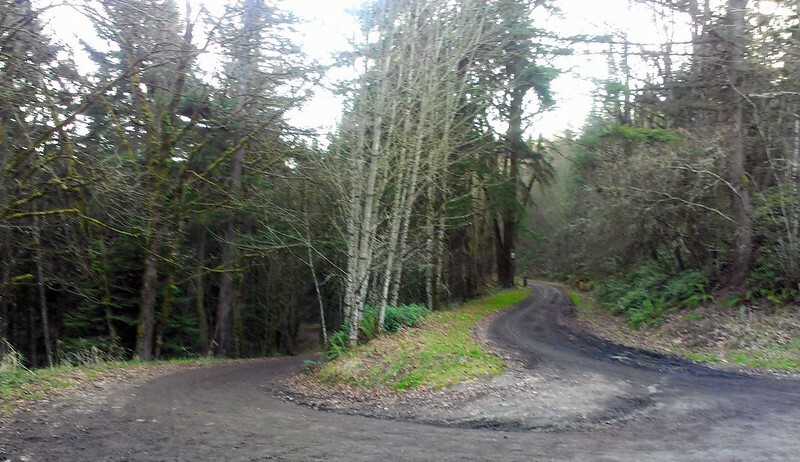 It was about another 3/4 of a mile down the non-park section of Saltzman. The road is still narrow, but paved. (Roughly paved, I might add.) A few houses line the street. I wonder what it must be like to live out here, tucked onto the side of a forested hill, above the industrial district, a few miles in any direction from anywhere to go. Secluded and isolated comes to mind. 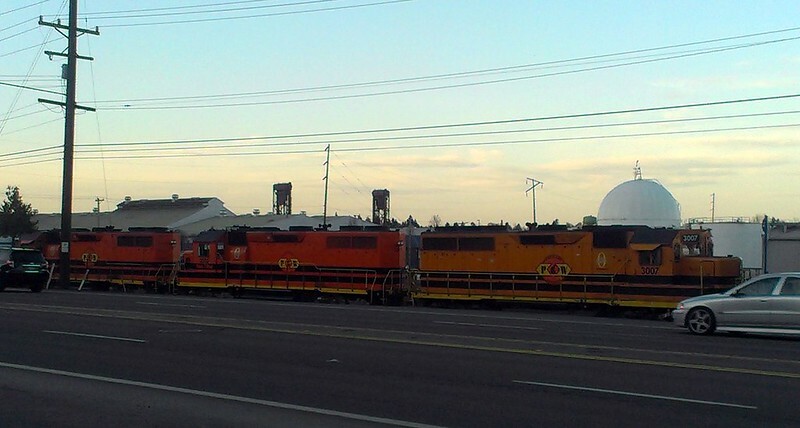 And after the descent, I was presented with the clang and dirge of NW Industrial, and high-traffic NW Saint Helens Road (US 30), clogged with commuter traffic. Such a different world than the wooded wonderland I just left. The ride back to central Portland was fast and boring. I'll be back to Forest Park soon, promise. 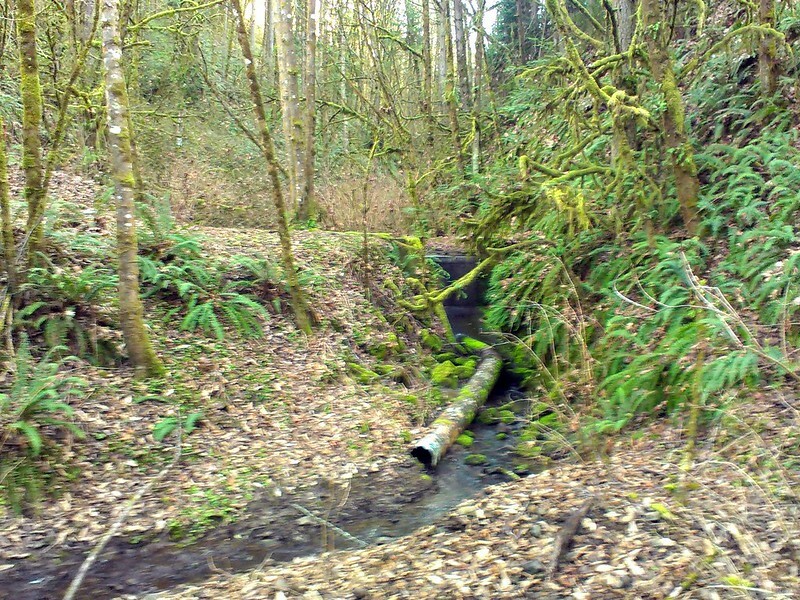 Like most creeks running down from the West Hills, Saltzman Creek is sent underground for its last stretch under the Industrial District and to the Willamette River. *This didn't stop developers from building on the hills south of here, though. Pro tip: Not a good place to be when the big earthquake hits. Nice to see pictures of Forest Park. The Hub and I used to ride the whole length, cross the St. John's bridge and return to our home in the NE via North Portland. It was one of our favorite 25 mile loops. I think we've hiked the entire 26 mile trail - at least in segments - that starts at the zoo (the name escapes me) and crisscrosses the road. Good stuff Shawn. I'm glad you have a bike that leads you such places, and beyond!